me to access my webapp via http://localhost/. My co-worker was telling me that I have to use a war for the JBoss. file. Then you can access your app via http://localhost/. file then you have name your exploded directory <something>.war (e.g. jboss-web.xml file. Then you can access your app via http://localhost/. >> allows me to access my webapp via http://localhost/. >> My co-worker was telling me that I have to use a war for the JBoss. corresponds to /. Not sure jboss has the same. 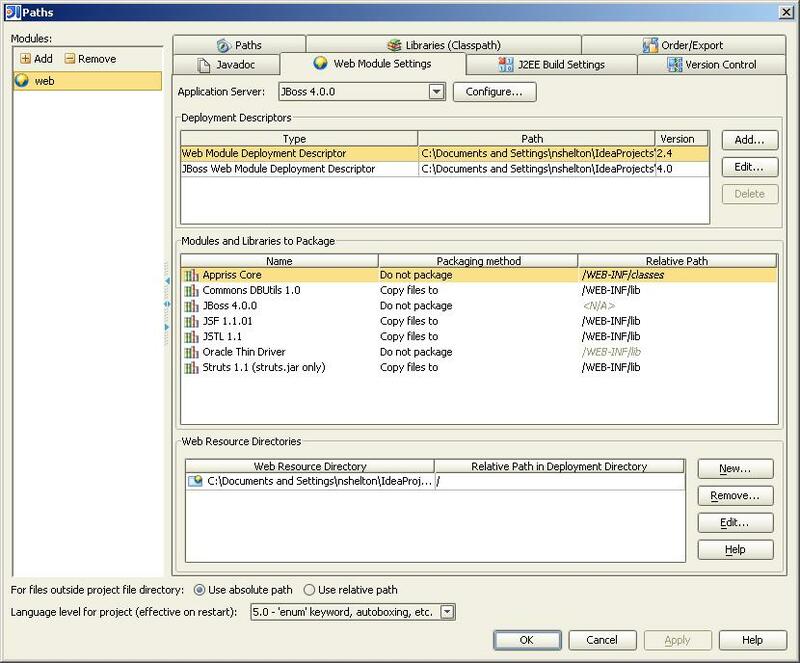 On 12/8/04 6:19 AM, in article 41B6E35D.9060508@yahoo.com, "Norris Shelton"
context menu of the web module, then selecting the 'JBoss Server' tab). There you can enter '/' in the 'Context Root' field. On 12/8/04 7:52 AM, in article cp6tds$vcq$1@is.intellij.net, "Martin Fuhrer"
>> to do this manually? productive environment, unless you're really sure what you're doing. app available under context / (and context /foo won't be available). 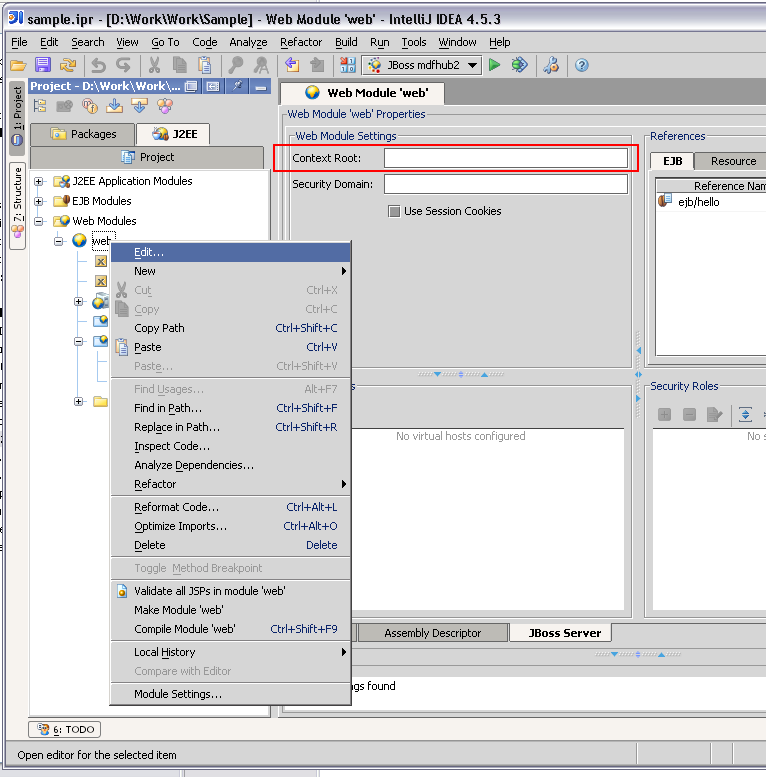 >>context menu of the web module, then selecting the 'JBoss Server' tab). >>There you can enter '/' in the 'Context Root' field. ROOT.war works if you are using the version of JBoss that uses Tomcat as it's web container. I forgot how to do it if you are using Jetty. >ROOT.war works if you are using the version of JBoss that uses Tomcat as it's web container. >I forgot how to do it if you are using Jetty.